Good News! It’s not a Legend! It is Real! And I Found It! Before you say yes or no, learn some facts about The Fountain of Youth and how its Legend started and how Dame Ysatis De Saint-Simone says that the Legend became a reality in her own self! It’s good practice to research a subject before accepting or rejecting it. Click here to read about Ancient Legends. When I started researching rejuvenation, aging was accepted as ‘natural’. It’s true that aging is an inbuilt mechanism in every organism in nature, however, now scientists know that human aging is not set according to a fixed biological clock, but it is fluid and indeed influenced by consciousness. As a child, I observed a marked difference amongst adults of the same age; some didn’t look as old as others. That intrigued me. . . Read more here. The Natural Rejuvenation DVD is a natural, powerful and effective approach to rejuvenation that uses our own inner light brain emissions, which are activated by specially designed visual images of light combined with special sounds and subliminal suggestions given to the brain’s servo-mechanism, which automatically follows the suggestions to reset the ‘Hypophysis’ (a tiny gland which is the body’s ‘master switch’ of the aging process) or ‘the inner time clock’ giving it directions to run in reverse and activate the ‘juvene d’celles’ or Mother youth cells, which then, following the subliminal suggestions given in The Natural Rejuvenation DVD, regenerate themselves at the perfect rate for health and rejuvenation over and over again. Click here to read Scientific Data that corroborates this Method. This process and its benefits have been immediately felt in those who have practiced The Natural Rejuvenation DVD and become indeed biologically younger, so if you want to look great and feel good and free of stress, try The Natural Rejuvenation DVD, you will like it! Judging by her vibrant energy and appearance, Ysatis looks as if she has discovered the Magic Spring of the Legend and drinks of its waters daily; which she does! The waters, which according to the Legend, can reverse the aging process and slice at least 20 years off your current age naturally! Yes, exactly what you just read – naturally - without spending a fortune in painful surgical procedures, or taking potions and pills, injecting poison into your body or anything like that! just by relaxing and watching the Natural Rejuvenation DVD. To order call 866-921-3714 or use the button below. There are as many reasons to want to look young and beautiful, as there are people in the world; whatever your personal reason is, the key to success is to find ‘That Method’ that will give you the results you are looking for. And, if when you find it, you discover that it is natural, safe and helps you to be stress-free, you have certainly found a Treasure! The good news is that the search is over, the NATURAL REJUVENATION DVD will do just that when it is faithfully practiced. All you have to do is to follow its instructions exactly and make a practice of watching the DVD daily, you determine for how long you watch it, you can watch the whole DVD, or fifteen minutes if you don’t have the time, the point is to make of it a daily practice. If you do so it will make rejuvenation a reality in every single cell of your brain and body, and revitalize and rejuvenate you while you just relax. This means that now, instead of you being a helpless victim of time, you will start immediately feeling and looking good while reversing the time-clock and ultimately become triumphant over the aging process. It all began a long time ago when she was just a little girl. She remembers that one of the bedtime stories told to her was especially fascinating, it was about a legendary Magic Spring never found in a newly discovered world full of mystery, which involved two of her ancestors; the fact that this Fountain of Youth had remained unfound but there were many who claimed that it existed, awakened in her the desire to know more about it... As we know, many families’ ancestral ties reach across the sea. Europeans, who after the discovery of America, journeyed to the new continent and here lived fascinating adventures. Their sagas were sometimes popularized and found worthy to be recorded; this story was one of them, for it was repeated and repeated throughout all of Europe through the centuries, until it became a legend; the Legend of Ponce de Leon and the Fountain of Youth. 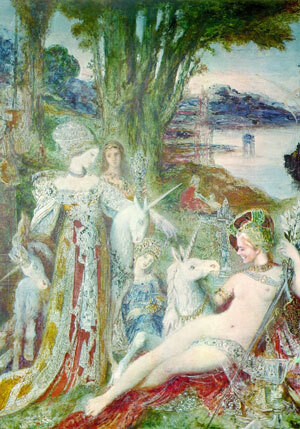 Ysatis always felt, questioned and pondered over the reason why Ponce de Leon and her ancestors had not found the Magic Spring of Life. . . Could it be Ysatis thought, that they were mislead by looking to find the Magic spring in a geographical location and it was maybe somewhere else? 10. If you only Knew the Gift of God and Who Is the Man who said to you, 'Give me a drink,' you would have asked Him, and He would have given you Living Water. 11. The woman said to Him, My Lord, you have no leather bucket and no deep well; where do you get the living water from? 12. What are you, greater than our father Jacob who gave us this well, and he himself drank from it, and his sons and his sheep? 14. But whoever drinks of the water which I give him shall never thirst, but the same water which I give him shall become in him a well of water springing up to life everlasting." They also commented that in the Greek Myths and in the Hindu Scriptures there were other Fountains of Divine Nectar that made the soul divine and gave it Eternal Life mentioned, and she remembered how they questioned if the quote of Jesus speaking to the Samaritan woman was The Secret to find the legendary Fountain of Youth. . . Years later, Ysatis found the answer to these questions. . . And the answer is. . . Yes! 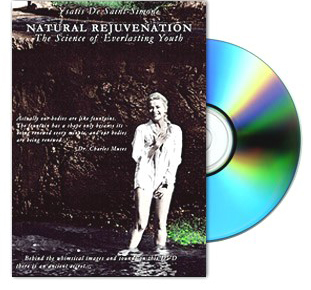 In order to help others to awaken what is needed in their own bodies to find that Fountain of Youth Ysatis created the Natural Rejuvenation DVD. People who have done have profited immediately, they are the best witnesses that Legends are sometimes, as in this case, based on a true experience. Find out the latest scientific data that corroborates this data.